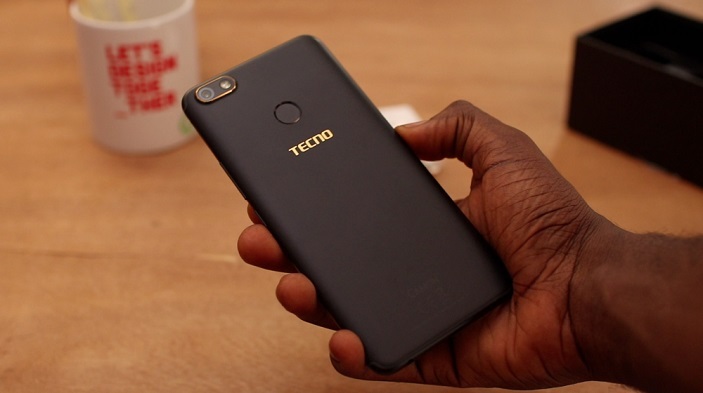 Tecno Mobile has unveiled what could be their best selfie camera device so far, the device is called Tecno Camon X and it falls into the Camon family that has been known for extraordinary camera features. 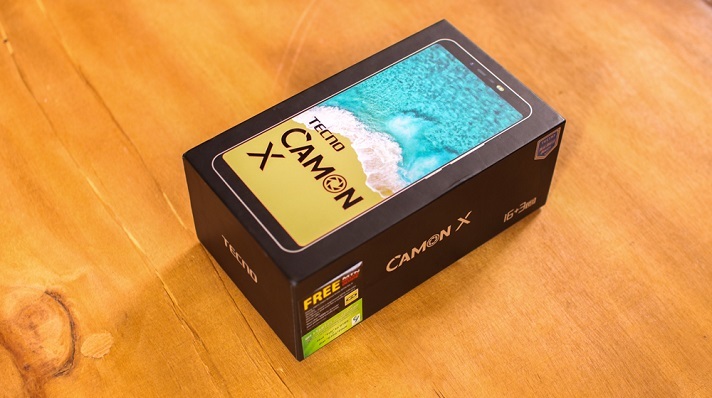 Both the Camon X and it’s Pro variant were unveiled at an even in Nigeria, they will be available in both offline and online stores around the country. 20MP front camera with flash. 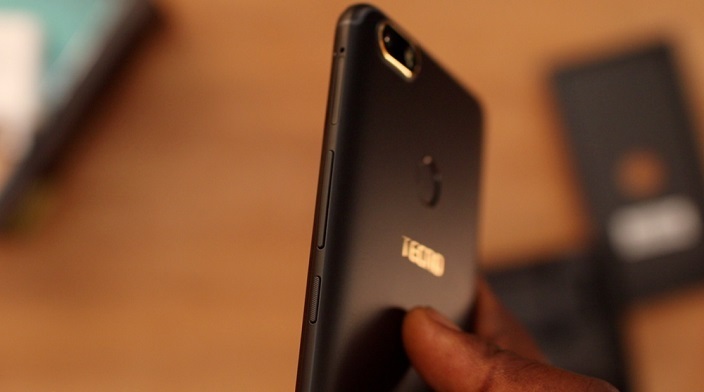 See full specification of the Tecno Camon X here. The device offers a modest specification at its price and definitely a good choice for anyone looking for a budget friendly smartphone. 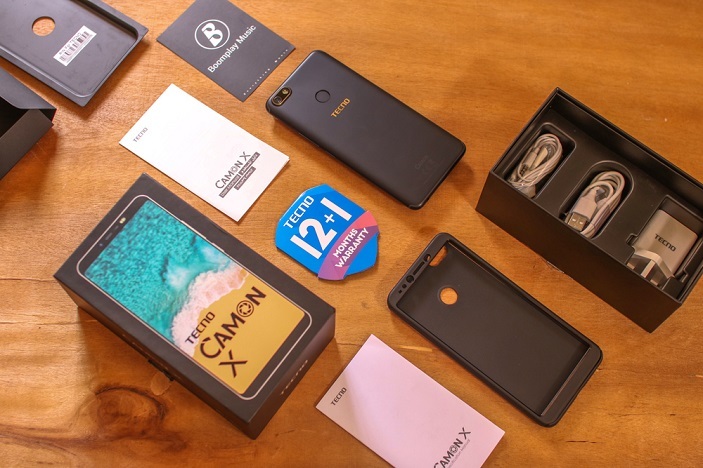 Tecno Camon X comes in a black rectangular box with a bold picture of the Camon X device in front. 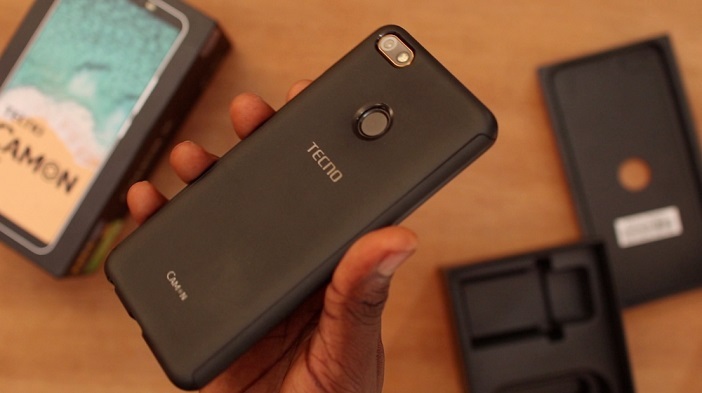 Opening the box will leave you faced with the Tecno Camon X device. 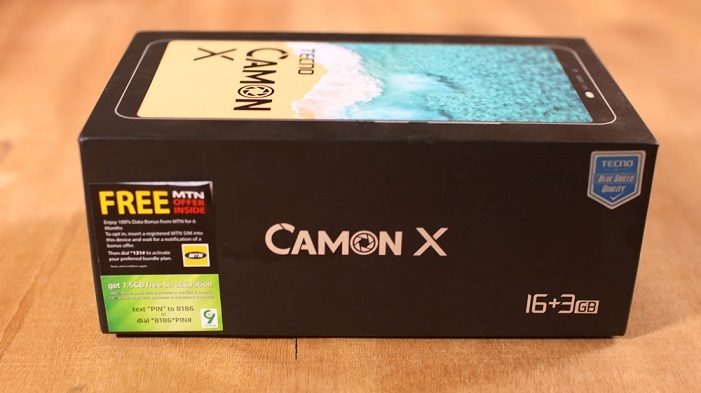 Going deep into the Camon X box, you will find other items included in the box which are charger head, micro USB cable, Tecno-Branded Plastic Phone case, user guide, pair of earphones, and 12 + 1 months warranty card. 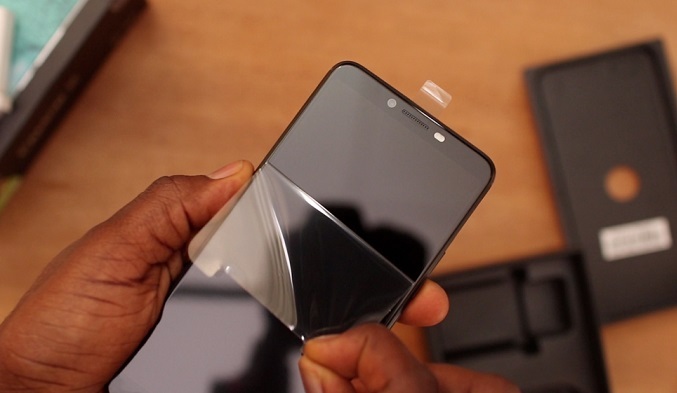 Peeling off the transparent sticker at the front reveals the 2.5D curved glass at the top of the device. There is also a transparent sticker at the back of the device with illustration on how to insert the SD card and the SIM cards. While the top border of the device is left blank, the bottom border is occupied by the speaker and micro phone grills, the USB type 2.0 port and the 3.5mm Audio Jack. 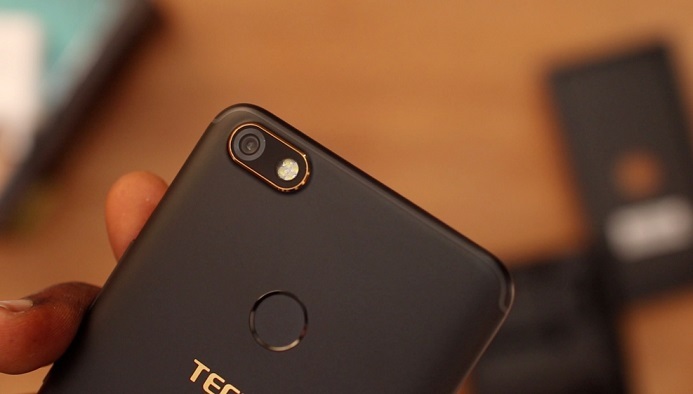 Tecno Camon X finishes with non-removable plastic cover, the 16 megapixels camera is well positioned at the top left corner with the finger print scanner sitting below. 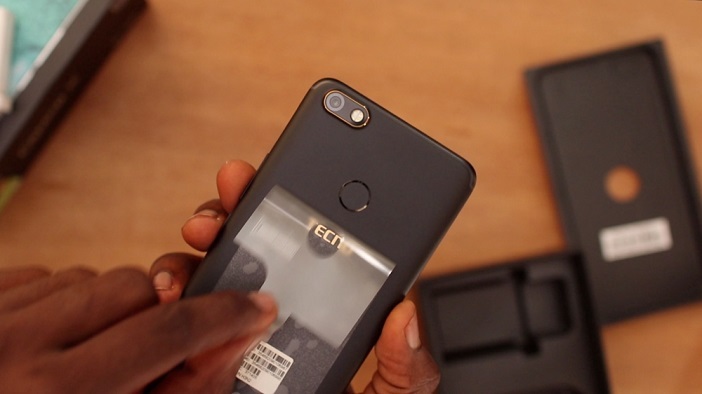 The plastic phone case that was packed with the device is also a nice initiative and made the phone feel very comfortable at hand when tried on. 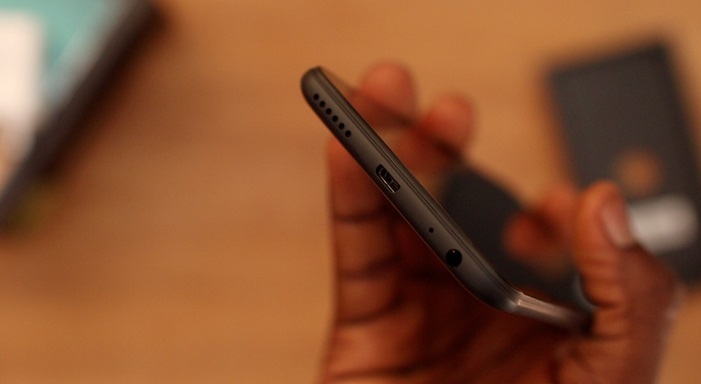 Only that it also made the device a bit bulky at hand. 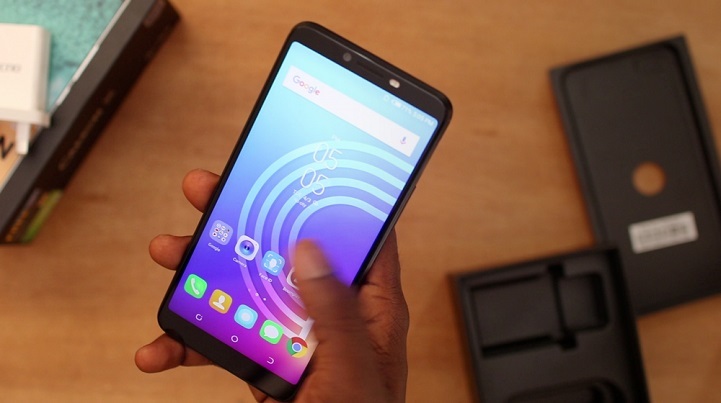 Overall impression of the Tecno Camon X was very heartwarming though it has a striking resemblance with the Tecno Spark. 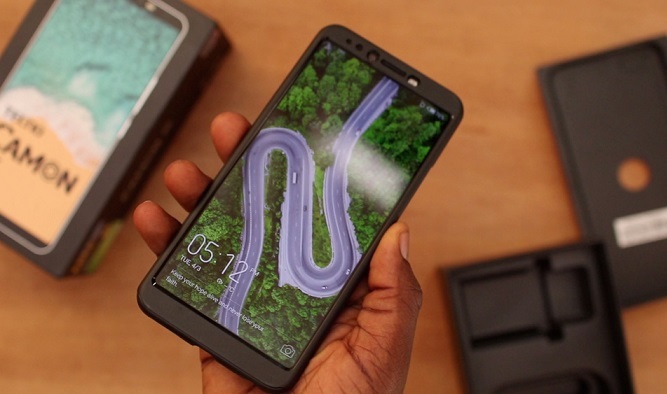 The device was really impressive when it comes to design, thanks to the 18:9 aspect ratio and the finely finished sandstone-black plastic cover. 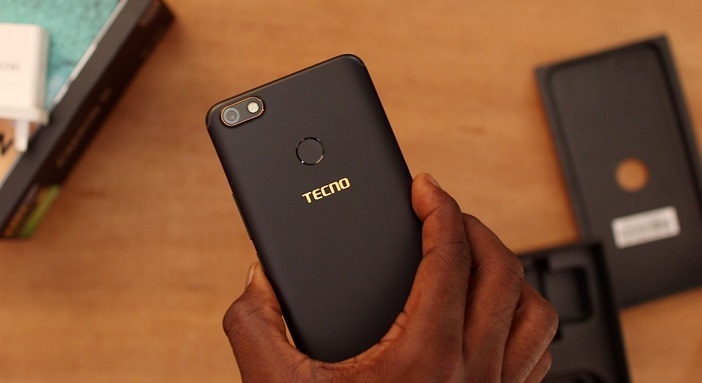 The Tecno Camon X will be available in the market both offline and online. You can get it on Jumia at great prices. 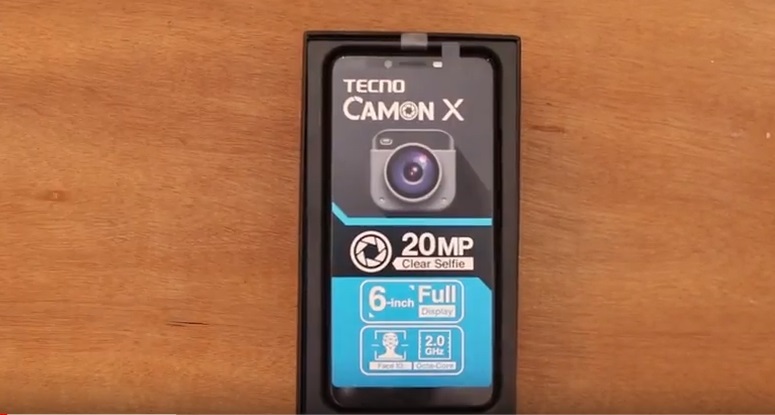 Camon beats all the other series especially the camera part.